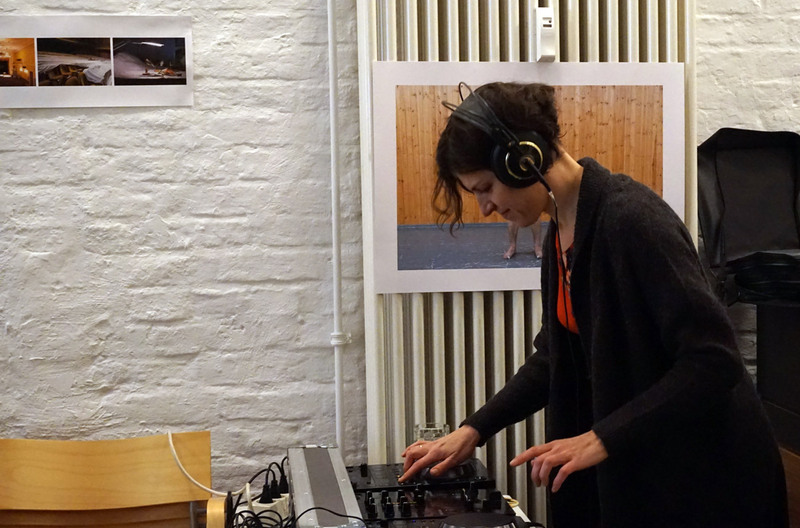 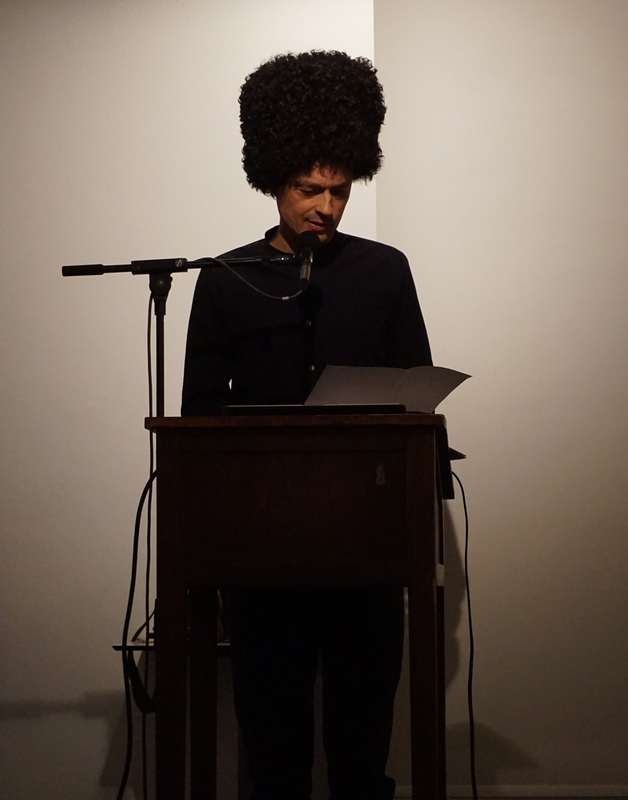 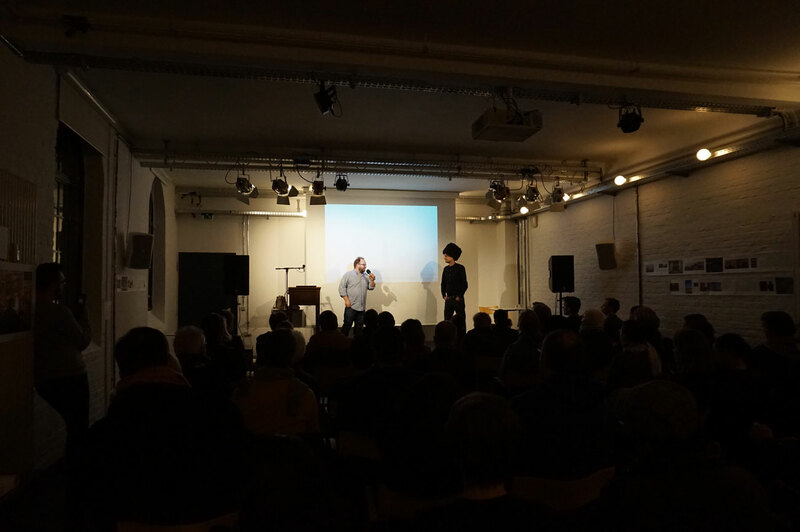 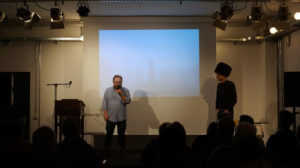 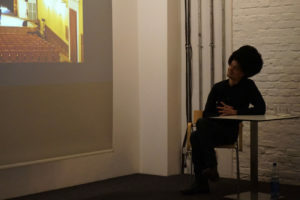 A transmedial art show combining photographs, poetry, sound recordings and music, a full house and free vodka – the PROVINTSIYA event in Haus der Poesie just had it all. 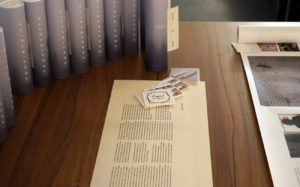 Here are some impressions of a really enjoyable evening – and a big thank you to everyone involved! 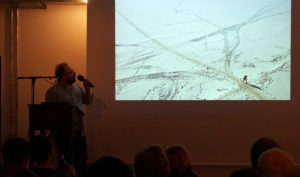 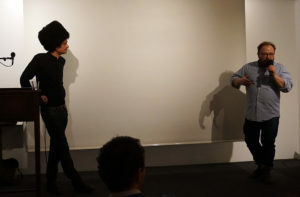 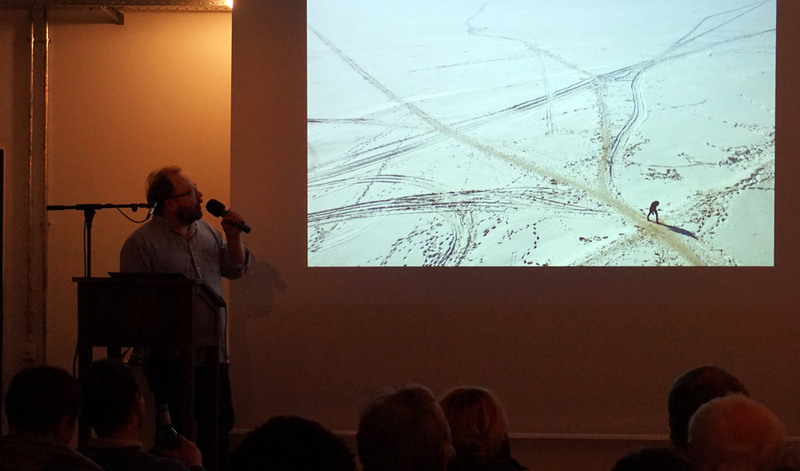 In their presentation Hendrik Jackson and Heinrich Völkel took us on a journey through the russian “provintsiya”. Afterwards, there was a cheerful get-together that was very fittingly accompanied by DJane Svetomusika and her Russian tunes. 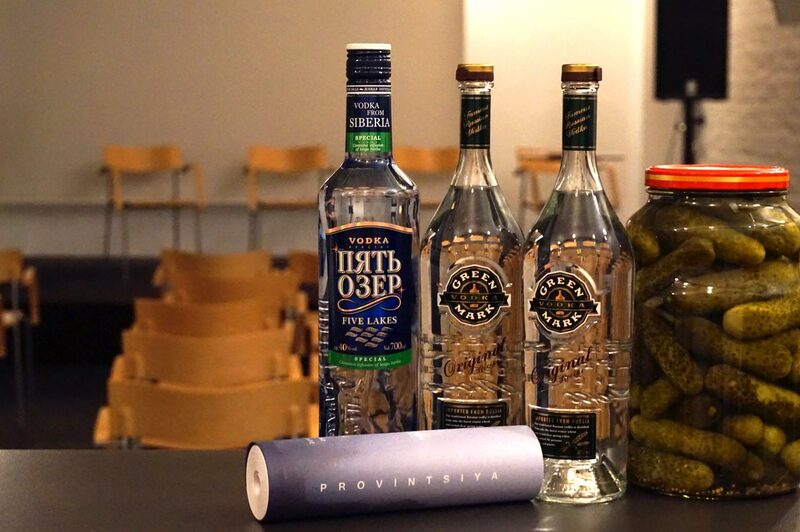 It was an all-round successful Russian evening. 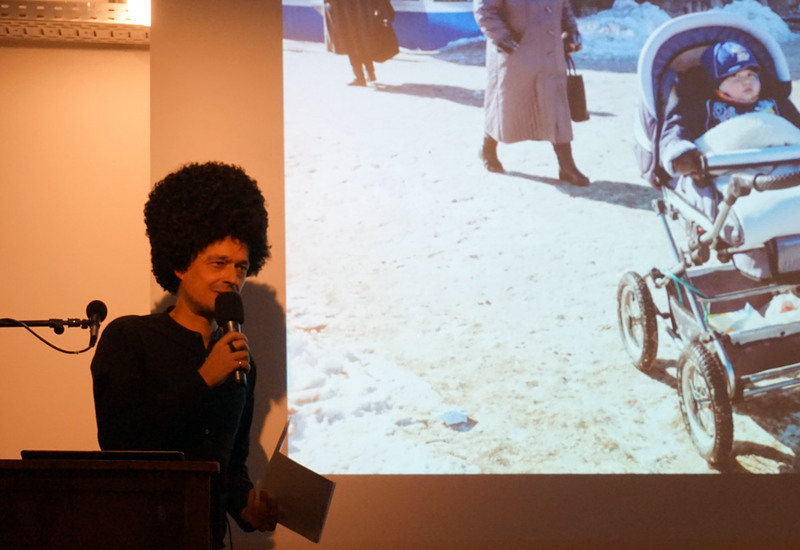 In fact, it wouldn’t surprise us if flights to Russia were booked that very night, that’s how much fun it was. If you don’t have enough time or money on your hands for that, don’t despair: At least you can always get the scroll!